I was recently reading an interesting post from Napier Lopes about the possibility of Facebook and Vimeo to join forces. I actually was thinking something similar few weeks ago. This is not the first case of possible integration I fantasized about. With my team last year we built the new mobile web experience for Vimeo. We release the new version last November 2014. 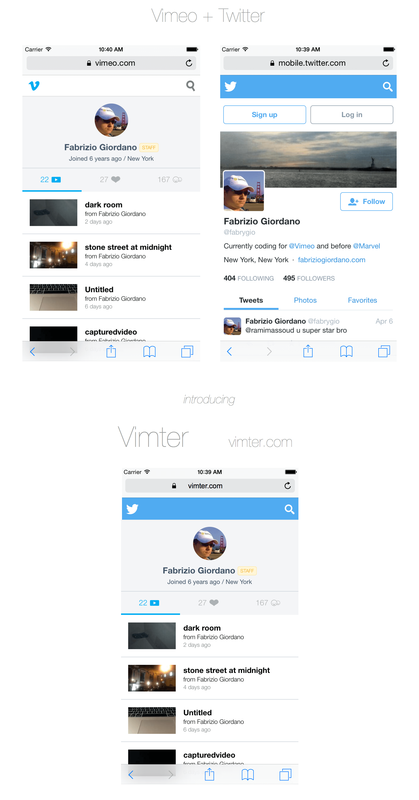 At the beginning of 2015 also Twitter released a new redesigned version of the native iOS Twitter experience.